This week’s Friday Finds includes tips from 33 influential bloggers who share their insights and experiences on how to improve reader engagement. Also asked this week is the question: Were you hit by the recent Google penalties? Do you know how to check to find out and what would you do if you were hit? You won’t want to miss an epic post featured on SocialMediaExaminer that lays out steps to getting the most out of Google+. Also, get more info on designing a responsive design for mobile computers including an excellent case study of how one company developed a responsive website and were able to eliminate their separate mobile site. 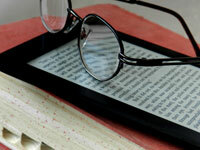 How Do You Increase Reader Engagement? Which tactics have had the biggest impact on your blogs reader engagement? There’s a wealth of information in the epic post 33 Experts Share Their Secrets For Improving Reader Engagement. You’re bound to benefit from lessons shared from bloggers like Seth Godin, Dino Dogan, Anita Campbell and David Risley (plus many more including several bloggers who regularly comment here like Adrienne Smith, Ana Hoffman, Francisco Perez, Lisa Buben, Ms Ileane Smith, Mitch Mitchell and me). Were you hit by Google Penguin 2.0 Penalties? Thanks to Adrienne Smith, @AdrienneSmith40, for her Thankful Thursday post where she highlighted 6 posts (including my article on pinging). The post in this week’s collection that resonated the most with me was Tim Bonner’s article Google Penalty Checker – See How You’re Affected. For those of you who have been reading (and hopefully participating in) the discussions in the comment section, you never know when a highly respected blogger will get penalized by Google. Kimberly Castleberry, @AskKim, was hit by the recent Penguin 2.0 update (and I recently discovered that I have been too). Both Tim and Kim recommend using Fruition.com’s Google Penalty Checker tool to find out if you were affected. If you discover that you were hit, check out Kim’s excellent article Penguin 2.0 – My Status Update #2 – Disavow and Reconsideration to learn how she’s handling it. How Can You Get the Most out of Google+? Earlier this week, I published a guest post by Teddy Hunt, @tedhunt9, who wrote 6 Ways Tablet Computing Influences Web Design. It’s been predicted that there will be approximately 665 million tablets in use by the end of 2016. So, website designers shouldn’t ignore the need for mobile websites that work well on tablets. After publishing Teddy’s article, I came across Adapting To A Responsive Design (Case Study) by Matt Gibson, @DuckyMatt. Matt’s post on SmashingMagazine.com is an in-depth study of the process of creating a new responsive design website for Cyber-Duck, a company that has been designing websites and adaptive mobile websites for years. Prior to moving to a responsive design, Cyber-Duck had been maintaining a separate mobile website. This post is a little more technical than much of the content that I share here but it’s a good insider peek at the process behind creating a responsive website. Even if this is a project that you’re not prepared to implement yourself, this informative piece should provide you with some much needed insight. Have you had a chance to read any of the articles that I highlighted this week? Which were your favorite finds? Did you know there was a way to measure the impact of the Google Penguin 2.0 update? Had you heard that both Kimberly Castleberry and I were hit? (I only recently learned this. So, you’ll be hearing more from me as things progress. Meanwhile, I’m keeping a close eye on Kim’s progress.) Please feel free to weigh in on any one (or all) of the info that I shared with you this week and as always, thanks! Sherryl, you’re awesome! This has been most helpful, most especially your take on reader engagement on blogs. Looking forward to more valuable posts and would love it if you could devote a full length article on your own tips in this regard! Thanks for letting me know that you found my post helpful. As a blogger engaging with our readers is so important. Recently, I wrote about the Google Panda 4.1 release and how quality content is being rewarded by Google. You may find that article interesting. Thanks for dropping by and joining the conversation. I’m following you on Twitter now. Hi Sherryl, I was really upset to learn that you have been hit by Google Penguin 2.0. I actually fail to understand the basis on which Google penalizes a website. I mean what was it that made them feel that your site is flouting their rules. Please inform us about the details. Nice post. With all this Google pandas, penguins etc, it’s hard to keep up with all this zoo. The links you provide are very helpful. Thanks. Great finds, Sherryl! I now have enough reading materials for this coming week, especially the link on Google Penguin 2.0, which I still have a lot of things to catch up. Thanks for letting me know that you’re enjoying my series Michelle. I was hoping that some readers here would enjoy having a recap post like this to catch up with over the weekend. Thanks Evans. That’s a great tip about the pitiful 2G connections in the UK. There are plenty of rural areas in the US too. Just to let you know that the Google penalty checker now says my blog has benefitted from Penguin 2.0 probably because I have gone through all 5,000 comments and deleted anything that could be bad news + sorting out broken links. Catarina recently posted..Ever heard of emerging generosity? Did you request reconsideration by Google? No, Sherryl. Should I have done that? Am not even sure they did penalise me. Didn’t get any message from Google that they had done so. Apparently they do send messages when they object to something on a site. You’re probably fine not submitting a reconsideration request. I haven’t yet but I probably will. I know Kim Castleberry submitted one. I just watched a short video by Rachel Searles and Brian White of Google’s Search Quality Team. At one point Searles says “it’s probably a good idea to wait a bit and see if things revert to their previous state”. Panda was really positive for me but not Penguin 2.0 because it focused on links. The latter aspect has now been sorted out and it seems I’m fine. Wonder why I deleted the Broken Link Checker plugin years ago?`:-) Can’t remember why. I recently had to deactivate the Broken Link Checker plugin because it was causing a conflict on my site. Catarina recently posted..Will we all be business owners in the future? Sherryl -Nice roundup. Just got back from vacation, and was surprised to see that a Google update actually helped us for once. I work for a fashion designer, and for our key terms, Google boosted the rankings of designers and downgraded the rankings of merchants. Biggest disappointment is that only a few of the Chinese knockoff sites got penalized. Congratulations Marney! It’s good to hear from someone who benefited from the Google algorithm updates. Hopefully, more of the knockoff sites will get penalized soon. Thanks for letting me know that you enjoyed my post. Thanks for the post. Excellent, as always. Reader engagement on blogs? WOW! This is a tough one. I don’t know why people started to think that social media will replace blogs and started to migrate everything on their social media accounts. As a results you see less and less comments these days on blogs. So engagement on blogs is an excellent topic to talk about. In my opinion migrating to social media is a stupid tactic. People do it because everybody is doing it. This is just the perfect recipe for failure. As more and more people leave their blogs in favor of their social media accounts, they will become more and more vulnerable (you never own anything on a social media account). Another effect is that the competition is tougher than ever. This is just a tactic for lazy people who believe they will work less and enjoy success faster by the magic of social media. It’s really a kind of religious thinking. Social media became an idol and people are paying sacrifices to it. Stupid. Blogs are the best tools available online (well, sites are probably better) for the masses. Blog commenting is still powerful, guest posting is efficient and YES increasing blog engagement is the best thing you can do. I will read the post and see what those 33 experts have to share. I can hardly wait. You raise an excellent point about owning your content. I think a lot of bloggers concentrate on participating on social media sites at the cost of spending time building relationships on their own blogs. While I believe it’s important to maintain a presence on social networking sites, I think it’s very difficult to maintain and build deep relationships on them. It’s certainly done but (I believe) you have a limited audience. Regardless of the number of followers, circlers, etc. that you may have, it’s very easy for your conversations to get buried. When you comment on blogs, it’s more personal. Successful bloggers often build communities. Some have done this successfully on sites like Facebook but personally, I’ve chosen to try to build my community on my blog and on LinkedIn – which I feel can be an effective site when approached strategically. As always, thanks for joining the conversation. I always appreciate hearing your insight. Happy reading. That post is huge. I keep going back to it to see what I’ve missed. This is the first time that I’ve heard there is a tool which shows how much a blog has been influenced by Penguin. I have to admit that I’ve been burring my head down in the sand about it. If it’s any consolation, I just learned about that tool a few days ago. There’s so much to keep up with! Sherryl Perry recently posted..Is Triberr a Part of Your Social Media Strategy? In my other reply, I mentioned that (when I scrutinized my comments) I found links to sites that led to pages with nothing but ads. In lots of instances, it appears that the domain name owner either: parked the domain name, lost the domain name or were attempting to sell the domain name. Also got hit by Google’s latest update. And honestly don’t know why. At the moment the internet marketing ninjas are crawling my blog for broken links. Bad Behaviour says both my sites are fine. There are some internal and external errors according to Ninja. Could that be the reason for the latest Google update penalising me? Yesterday went through the olderst approximately 1,000 comments and deleted about 20. Thanks Catarina. I always feel honored to be asked to contribute to a post like Adam’s. It’s a good opportunity for me. It’s sad to hear that you were hit by the Google update too. Yesterday I tried the text link checker that Tim has mentioned. It’s a handy tool to keep track of any questionable links. From Kim’s post I went on and signed up for the Fruition tool, but got an error that it could not get any domains from my account. I don’t know what went wrong. I need to take a good look at the post about Google+. Because all this while I have been using it mainly for personal reasons, yet hoping that it will bring some traffic to my blog. Thanks Sourav. It was unexpected but hopefully, I’ll be able to resolve the issues soon. Maybe the Fruition site was being overwhelmed with requests when you tried. After I read Tim’s post, I found their site referenced on another blog and now here. So, the word is spreading fast about them. I need to take another look at that Google+ post too. I’ve been trying to beef up my presence there and Kristi’s article is chock full of info. Sherryl — thanks for this very informative post about the potential of being hit by Google penalties. I immediately registered for the free scan from Fruition.com’s Google Penalty Checker. I was shocked to learn that in January of this year the checker found that it was extremely likely that I had been penalized. I looked for a reason and it said it was related to content. I think it was about that time that I started blogging once a week instead of twice (not enough time to write two quality posts a week) and saw a drop-off in traffic but naturally attributed that to fewer postings. But if that’s the case I would think I’d still be penalized, but now I’m in what looks to be in the unlikely to be penalized zone — but not the positive zone where I was two years ago. Not sure how to achieve that. In Tim’s post he also mentioned the text link checker tool so I also did that scan and found 4 questionable links in my posts to other sites — which is not bad when you consider that I have thousands of links. I removed three and one I couldn’t find. This is the kicker: one was a link to Business Week where I had written a post. But my link wasn’t bad. The tool discovered the bad link among all of Business Week’s own links. I read that as meaning that even if you link to an authority site like Business Week, if they have questionable links, you could be penalized by Google. I may be wrong but that’s how I read it. One of the other questionable links I had copied from Copyblogger (I’ve since removed it) in my recent post on Google Reader alternatives. Honestly, I don’t value my traffic from Google nearly as highly as I do from referral sites like LinkedIn and direct traffic. I think of lot of Google traffic is from people doing a search, they click on a site and discover it’s not what they’re looking for and bounce right off. Thanks again, for this eye-opening, post. As always, thanks so much for taking the time to share your thoughts with us. I appreciate your reminder that overall, Google traffic is less valuable than referral and direct traffic. I agree with you completely on that. However, it is unsettling to lose roughly 1,000 visitors in one month. I refuse to obsess over this though. I plan on continuing aggressively cleaning up links. Then, I’ll go back to Tim and Kim’s articles. Hopefully, I’ll be able to resolve this. Meanwhile, I’ll keep track of what I’m doing and I’ll blog about it again when I have something to report. It’s even worse than that. The first time I was hit was May 23rd. I was hit a second time on June 11th. When I compare the last month’s activity (in Google Analytics) to the same period in April/May, my number of visitors dropped by nearly 2,700. I’m in the final stages now of trying to clean up all possible links whether they were do-follow or not. I recently ran my site through brokenlinkcheck.com and that identified several dead sites, “bad hosts”, etc. I’ve addressed those and am very close to submitting a Google reconsideration request. Although, it’s discouraging. Kim Castleberry hasn’t recovered from the hit that she took and she’s already contacted Google. Sherryl — that’s incredible. Don’t you feel that is a mistake on Google’s part? That something went haywire with their algorithm? I’ve found broken link checker to be very useful. Every few days I get an email with 2-3 broken links that I immediately delete. I’ve also become very selective about posting comments. I vet the person’s website and if I don’t like what I see, I don’t use the comment. Also, I don’t use comments that are so poorly written that I can’t edit them. I do make simple edits to comments (like the spelling of my name) but that’s it. I definitely think that this penalty was undeserved and I feel the same about Kimberly Castleberry too. I’ve heard that other legitimate bloggers are having the same issue. Are you referring to the broken link checker plugin? I had to deactivate it because it was incompatible with something else on my site. I ran my blog through brokenlinkchecker.com and I took the option to “report all occurrences of each dead link”. I was amazed at what it turned up. A lot of the “bad host” links were caused by bloggers who had left URLs to sites that either no longer exist or are parked on sites riddled with ads or sold to a totally unrelated niche. I manually stripped all of those URLs from the comments that they left. When the original comments were left, I had vetted the sites. In some cases, you would recognize the blogger who left the comments. In many cases, they’re still blogging but for some reason, they no longer have the domain name that they commented under years ago. After hearing about and reading the Google impact you had, I thought it might be good the check it out. I actually did have an impact not bad but no good. I had some done some clean up just recently so let see what that does. My big question is after you do all the clean up, how long will it take to show the effects. Do you know? I have no idea how long it will take. Google is notorious for being vague in their correspondence and that’s if you’re lucky enough to get a response from them at all. I’ve contacted them in the past and their resolution to my issue was to create a new gmail account on my behalf and transfer all my analytics etc to that. (That continues to be a royal pain for me.) Google’s reply to Kim wasn’t really that helpful either. I’ll be tracking what and when I do anything related to this issue. So, I should be able to answer you time frame question when all’s said and done. I’m still so surprised that you and Kim were hit this past time Sherryl! But, I guess had I not cleaned my blog up a few months ago during my spring cleaning I might have been hit yet again. Last year I got it bad but there was no change the last few times actually. So sorry to hear that by the way. Now I loved Adam’s post as you probably already know. I was so flattered to be included on that awesome list of his. He really did a great job and I think everyone should really take the time to read through that one. Wealth of great information jam packed into just one great post. Thank you for the mention of my Thankful Thursday post yesterday and I was thrilled by the find that Tim shared. Oh and of course your pinging post HAD to be included. I mean I hadn’t updated mine in years either so you did the work for me so thank you for that Sherryl. I’ll have to read Kim’s post too but hopefully won’t need to make any corrections since I’m in the green finally with Google. It’s about time. I just read a post today on how to really expand our reach on Google+ but it wasn’t the same blog. I’m sure the information is similar but I’ll have to take a quick look. I’ll also be sure to read your post on design and headed there first but this one pulled me away, sorry. I’ll be sure to get back to it though so I’ll almost be able to say I’ve read them all. Great share today Sherryl and thanks again for the mention. By the way, my Twitter ID is AdrienneSmith40 and not 10. Just FYI, you know in case people actually do want to come follow me. 😉 Appreciate that mention girl. I was very surprised when I learned that Kim had been hit. I’ve been working on cleaning out my comments and do-follows for days now but I suspect that is at least in part responsible for the penalty. I also think I still have a Replytocom URL issue too. That’s a beast to straighten out. I’ve followed the advice to use my Google Webmaster tools to try to prevent them from happening but I know that there are at least a few links that I probably need to disavow. Sorry you were hit Sherryl and I read Kim’s articles about her experience. Luckily nothing changed for my site. I guess these days you can’t just accept anything including links on face value. Your reply to Leora about scrutinising comments is a reminder to me to get rid of old trackbacks which I am sure some of them are from spammy sites. Susan Oakes recently posted..What Are The Best Tactics To Get New Customers? Thanks Susan. I had noticed a fairly significant drop in traffic but I didn’t take the time to research it thoroughly. At first, I thought it was partly due from taking a mini blogging break including being partially absent from social media for close to 2 weeks. I didn’t realize that the hit I took was on organic traffic. I have about 10k comments on my site. Granted, about half are probably from me but still there’s a lot to go through. I am in the habit of aggressively checking my comments every few months but this is definitely the deepest cleaning I’ve done for a while. The funny thing is, I’ve been working on this without knowing I had been hit. I just found that penalty checker yesterday. I’m glad you are talking about responsive design. It’s really not as hard as it seems, to switch to responsive design. That is, if you can find a responsive theme that you like, you are all set – you just may need some tweaking or need a child theme to get it customized in the way you want. If you want an absolutely unique website, then it gets a little trickier. Even there, there are many frameworks already created that do responsive design. A good web developer builds the site on top of one of these. Sorry to read about your Penguin hit. Look forward to reading more on that topic. Have a great weekend, Sherryl. Thanks for mentioning responsive WordPress themes Leora. That would probably be the best solution for most of us here. Either that, or working with a good developer. I was already in the midst of scrutinizing every comment in my database and aggressively removing the do-follow tags, the comment link or the entire post of all spammy comments. This is something that I regularly do but my blog is old enough that some of the blogs that were originally legit aren’t any more. At this point, I’m going to finish this task before I follow Kim’s suggestions. I suspect that I may still have an old issue with Replytocom URL’s too. If I learn anything from this experience that I can share, I’ll blog about it. Hopefully, I can rectify this and know what I do that works too!